Dinosaur 4D+ cards gives you the prehistoric experience of unleashing extinct Dinosaurs which dwelt millions of years ago on Earth right before your very eyes! 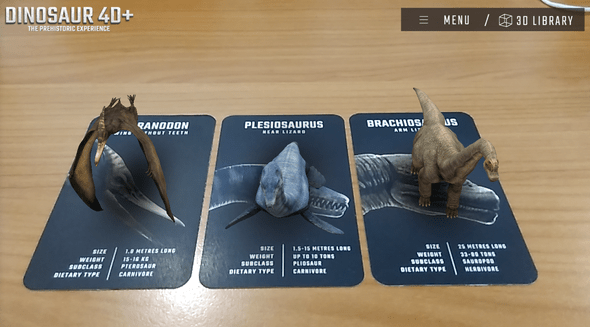 Pair the App with Dinosaurs 4D+ flashcards and watch as the 3D Dinosaurs leap out from the flashcards in Augmented Reality. Dinosaurs has always been fascinating in everyone’s eyes. Their fossil signifies the existence and extinction of the dinosaurs which dwelt million years ago on Earth. Dinosaurs 4D+ gives you the prehistoric experience of unleashing extinct Dinosaurs right before your very eyes! Pair the App with Dinosaurs 4D+ flashcards and watch as the 3D Dinosaurs leap out from the flashcards in Augmented Reality. Unlock all the dinosaurs by entering the serial number in the Guide slot. 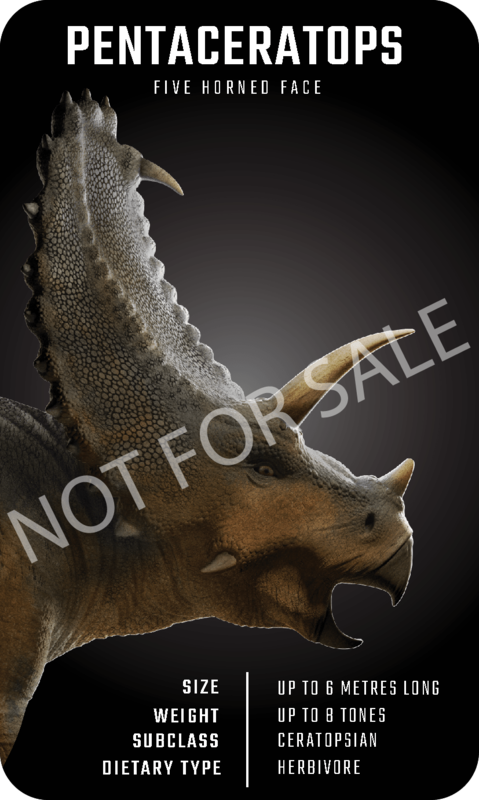 You may acquire the serial numbers from inside the Dinosaurs 4D+ flashcards box. Note that one serial number is only applicable for 3 devices. 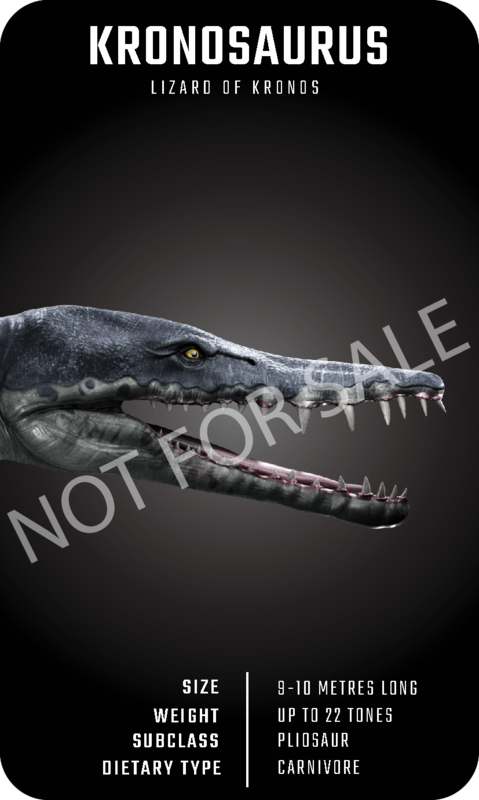 Utilizing the VR Mode for maximum experience, you can watch the Plesiosaurus swim and the Pteranodon fly above you! And, don’t forget to visit the 3D Library for extra information to broaden your knowledge, including their natural habitat and their size comparison to a human. Share the fun with your friends and tap the action button to hear their majestic roars!